I picked this up because I’d become aware I wasn’t really enjoying what I was eating and I needed a reminder about working through feelings rather than suppressing them with food. 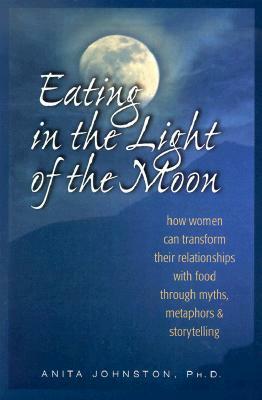 Eating in the Light of the Moon by Anita Johnston addresses eating disorders through folklore and mythology. Each chapter looks at the various motives we have for using food as self-medication, whether it’s chasing the perfect body because that’s what women are valued for, or controlling your food intake because someone else is controlling everything else in your life, or overeating because you spend all your willpower being the good girl. There’s a lot of chapters. Each chapter uses a folktale to illustrate the issue, which I really enjoyed. I knew some of the stories but a lot of them were new to me. In context of the work, the symbolism and metaphors took on a deeper meaning than they might have if I’d read them in another context. I liked it. It got me thinking about things in a different way which was just what I needed. If you have any interest in eating disorders, personally or therapeutically, this could be a useful addition to your library.